All of the devices run on the Android-based Roku OS, which supports a huge range of apps and channels. Many of those channels are geo-locked, meaning they can only be accessed from specific countries. It’s possible to bypass these restrictions using a VPN, which encrypts your internet traffic and routes it through a remote server in a location of your choosing. This assigns you a new IP address that can be used to bypass geographic content restrictions. Click here to skip to our list of the best VPNs for Roku. VPNs also add a layer of privacy to your streaming activity, preventing your ISP and anyone else on your network from snooping on what you watch. Unfortunately, Roku OS does not support VPNs on any of its devices, past or present. That means Roku owners who want to take advantage of a VPN must set it up on an intermediary device, typically a wifi router. We’ll discuss a few different methods on how to do this below. Likewise, Roku users who want to use Kodi can screen cast/mirror it from another Android device with a VPN installed. You can set up a VPN on your wifi router, and then connect your Roku to that router’s wifi network in order to unblock shows and keep your streaming activity private. You’ve got two main options: a physical router or a virtual router. To set up a VPN on a physical wifi router, it will need to have a type of firmware that supports VPN connections installed. You can usually access your router firmware dashboard by typing “192.168.0.1” or “192.168.1.1” into your web browser’s URL bar while connected to wifi, then enter your login credentials. If you don’t know your login credentials, consult your user manual or Google to find out the defaults (admin is a common username and password). Once logged into the dashboard, look for the option to set up a VPN connection. If it doesn’t exist, you can potentially install new firmware onto the router. This process is known as “flashing” and varies from router to router. If done improperly, you can permanently damage your router, so be cautious. The most popular free and open source router firmware is Tomato and also DD-WRT. Both have VPN-compatible versions. With the proper firmware installed, consult your VPN provider’s website or customer service for setup instructions and configuration details about how to connect to their servers. If your router isn’t compatible with DD-WRT or Tomato, or you just don’t feel confident enough to chance it, you can opt for a pre-configured router. Our top recommendation is ExpressVPN, which makes its own custom firmware that comes pre-loaded with all the setup and configuration done for you. It’s far easier to set up and use than the open-source alternatives, but the routers are a bit more expensive. Some other VPN providers, including a couple listed below, also sell pre-configured routers, though they aren’t as robust or user- friendly as ExpressVPN. Setting up a VPN-enabled virtual router is much easier and less risky than doing so on a physical router, but you’ll need a laptop to use as a wifi hotspot. Many people don’t realize that their laptops can not only connect to a wifi network but broadcast their own. Not only does Roku not support VPN software, it also doesn’t allow users to change the default DNS addresses. Again, this will have to be done on your router. A DNS proxy does not offer the full encryption or geo-spoofing capabilities of a VPN, but it is much easier to set up and won’t slow down your connection. For Roku, you’ll have to go into your router dashboard and find the DNS settings. You’ll typically need to input two DNS server addresses, a primary and a secondary. Make sure you use DNS servers located in the country where you want to unblock content. You may also want to hardcode your IPv6 addresses, but for streaming purposes, this isn’t really necessary and in some cases should be disabled entirely. DNS, or domain name system, is used by a device connected to the internet to resolve a URL such as comparitech.com into an IP address made up of numbers and decimals. Think of it like a phone book that matches telephone numbers with names. By changing the server where DNS requests are sent, it’s possible to unblock content on sites that use DNS to locate users. This is called a DNS proxy. Good VPNs will automatically override your DNS settings and use their own private DNS servers. Far fewer, however, will let you use their DNS servers without the VPN. ExpressVPN does allow this as part of its normal subscription. Dubbed MediaStreamer, users can input ExpressVPN’s DNS addresses into their device to unblock Netflix and other sites. ExpressVPN is our top preferred choice for Roku users for a number of reasons. It can unblock US Netflix, Hulu, HBO Now, and BBC iPlayer with ease. Just contact the 24/7 live chat support to ask which servers are currently set up for your favorite streaming channel. More than 3,000 servers are scattered around 94 countries, each optimized for maximum speed and reliability. That’s combined with the best security standards in the business, including 256-bit AES encryption and perfect forward secrecy. Every ExpressVPN subscription comes with a smart DNS proxy service called MediaStreamer. 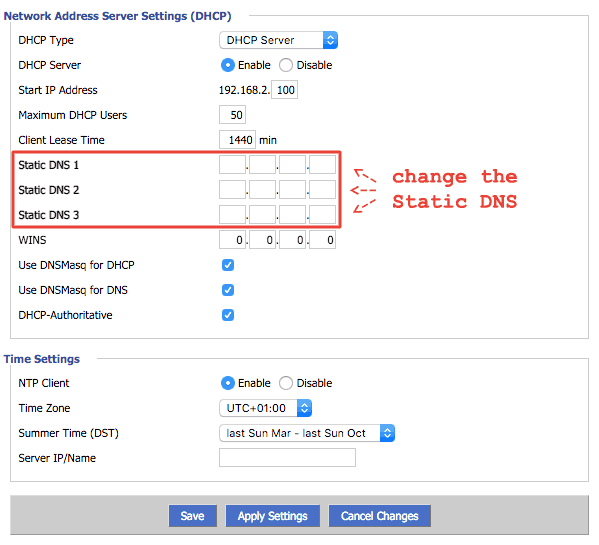 For wifi routers that don’t support VPNs, you can change the default DNS addresses to MediaStreamer’s in a few easy steps. This won’t provide the full encryption of a VPN, but you can at least use it to unblock geo-locked content. If you want to use your Roku with a full-featured VPN but don’t feel confident (or patient) enough to configure a router, ExpressVPN has you covered there as well. The company sells pre-flashed routers with custom firmware that will let you easily route specific devices, such as a Roku, through any VPN server on its network. BEST VPN FOR ROKU:ExpressVPN is our #1 Choice. With a vast server network that is optimized for high-speed connections, it works great with Roku. User-friendly apps for all operating systems. Hard to beat on privacy and security. There is a 30-day money-back guarantee so you can try it risk-free. IPVanish gives its customers access to a huge range of over 1,200 servers in more than 60 countries. The company owns its own server network, ensuring high speeds and reliable service. It’s not as adept at unblocking some streaming services from abroad like Netflix and Hulu, but it can bypass geographic restrictions on BBC iPlayer and Sling TV. IPVanish defaults to the OpenVPN protocol and uses military grade encryption to keep your streaming activity private. IPVanish operates its own DNS servers and includes DNS leak protection. IPVanish doesn’t make a custom firmware, but users can buy pre-configured routers from Flashrouters if they don’t want to go through the trouble of setting one up themselves. GOOD BUDGET VPN:IPVanish offers strong privacy and security. Uncongested network achieves good speeds. Strong security and privacy features. Could do with having live customer support. 7-day money back guarantee. NordVPN is an adept unblocker of streaming content including Netflix, Hulu, and pretty much everything else you can throw at it. 50 countries are available to choose from, and all servers are protected with top-notch encryption. You can use up to six simultaneous devices on a single account, making it a great value for families or housemates. All NordVPN accounts have access to SmartPlay, an encrypted DNS proxy service that allows you to bypass geographic licensing restrictions on streaming content. Like IPVanish, NordVPN also sells pre-flashed DD-WRT routers for those who can’t be bothered to configure the VPN connections themselves. There are also detailed tutorials in the NordVPN knowledge base if you want to have a go yourself. AFFORDABLE CHOICE:NordVPN is a good all-rounder. A great value option which works reliably with Roku. Connects up to 6 devices simultaneously. 30-day money back guarantee. VyprVPN can unblock streaming services with the best of them, including Netflix, Hulu, and BBC iPlayer. The veteran provider can also skirt China’s Great Firewall and other censorship systems. Encryption standards are as strong as they get, although the service does log your IP address, so it’s not quite as private as we would like it to be. VyprVPN operates its own encrypted DNS service, called VyprDNS, and protects against DNS leaks. Unfortunately, you can’t use VyprDNS separately from VyprVPN at this time. VyprVPN makes a custom app for routers that run Tomato firmware, and its website includes instructions for OpenVPN-capable builds of DD-WRT. EASY TO USE:VyprVPN is user friendly. Works well with Roku and most popular streaming services. Good security and privacy features but a bit pricey. 30-day money-back guarantee. PrivateVPN is a relative newcomer, but that hasn’t stopped it from offering a service that unblocks US Netflix and other streaming channels. It scored very high in our speed tests and is backed by live chat support. A single account lets subscribers connect up to six devices at the same time. PrivateVPN does not store any logs whatsoever. 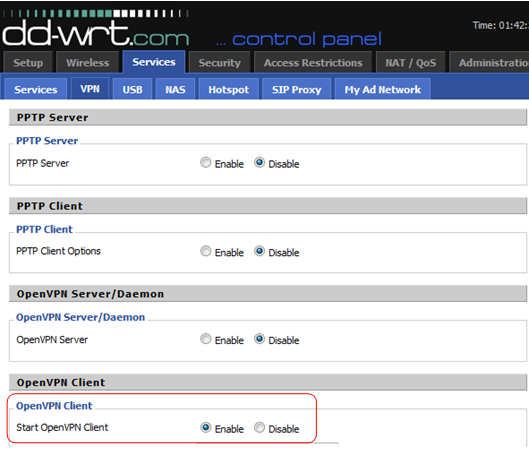 The website includes instructions on how to set up PrivateVPN on your Tomato or DD-WRT router. The company recently switched over to using its own private DNS servers instead of public ones, although these cannot be used separately from the VPN service. GREAT SPEEDS:PrivateVPN is a good family choice. Works with Roku and allows up to 6 devices on the same account. Small network of servers but fast connections. 30-day money back guarantee. Can I use a free VPN with Roku? There’s no shortage of supposedly “free” VPNs out there, but pretty much none of them will help you connect a Roku. Most free VPNs only run on their own apps, which means they can’t be configured on a wifi router, which is necessary for Roku. You could search for free VPN servers, but these are rarely fast or reliable enough to support streaming video. At any rate, free VPNs rarely protect your privacy and can even create security vulnerabilities. In order to sustain themselves and profit off of users, they often record users’ browsing data and sell it to third party advertisers. Some even inject tracking cookies and display ads into your browser, while others are loaded with malware. The handful of reputable free VPN services all have strict limits on bandwidth or data transfers, meaning you’ll spend a lot of buffering or get cut off in the middle of a stream. VPN Book provides configuration files for free OpenVPN servers. But it’s not clear who is behind the company and what their policies are. Hacking collective Anonymous accused the site of being a honeypot for law enforcement. Due to both privacy and performance concerns, we recommend avoiding VPN Book. Hola calls itself a VPN but it uses a peer-to-peer structure instead of centralized servers. This has major privacy implications and can’t be set up on a router or Roku at any rate. The company once turned all of the devices connected on its network into a giant botnet and used it to carry out distributed denial-of-service attacks on websites. So unless you want strangers using up your bandwidth and are okay with your Roku being hijacked, stay away from Hola. Hotspot Shield is popular due to its free tier VPN service, but privacy advocates recently filed an FTC complaint against the company alleging that it has been hijacking HTTP requests to certain websites and redirecting users to affiliate sites instead. That’s a huge breach of trust. The company also injects tracking cookies into users’ browsers to monitor what they do online. 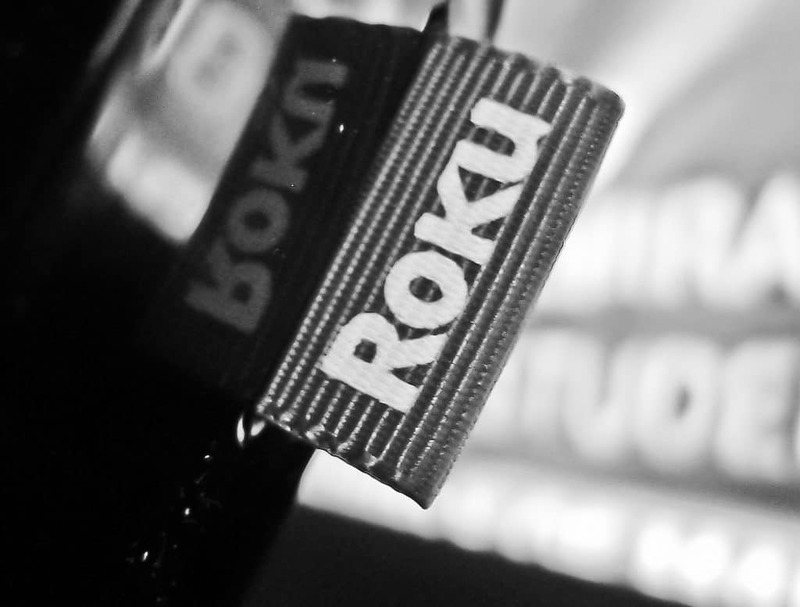 Roku doesn’t support Kodi, the free and open source home theater software that’s used to stream content from a huge range of both official and unofficial sources. If you have a spare Android device that supports casting lying around, you can use screen mirroring or casting to set up Kodi on a Roku. It’s not a perfect solution, but it works. If you’re not dead set on purchasing a Roku, we recommend the Amazon Fire TV or Fire TV Stick to those who can get it in their country. Specifically, the 2nd generation or later Fire Stick. That means you don’t need to rely on other devices like wireless routers to get set up with a VPN, or a spare Android device to cast Kodi. It’s all possible right in Fire TV, and we’ve got the tutorials to show you how.